It’s the worst nightmare for most men on a morning; you’re running late and suddenly, a rush of blood starts gushing from your face. That’s right, you’ve just cut yourself whilst shaving. Aside from the fact that you’ve just stained your clean white shirt with a load of red blotches, let’s not forget the fact that shaving cuts are just plain painful. They might be tiny in size, but even the toughest out there aren’t going to suggest that those small blades are anything but excruciating. Fortunately, there is hope. While we can by no means guarantee that you’ll stop cutting yourself whilst shaving, there are several precautions you can take to at least limit the chances. 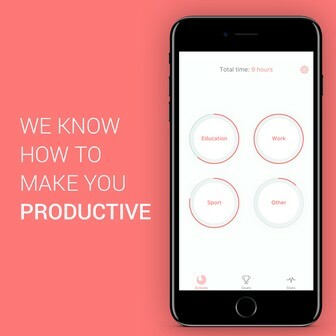 Let’s take a look at some of the best methods to help you along your way. There’s no doubt that the best approach to avoiding these pesky cuts is to simply prepare your skin in advance. Far too many men will approach shaving as a quick job when in reality, at least to avoid such cuts, it’s anything but. 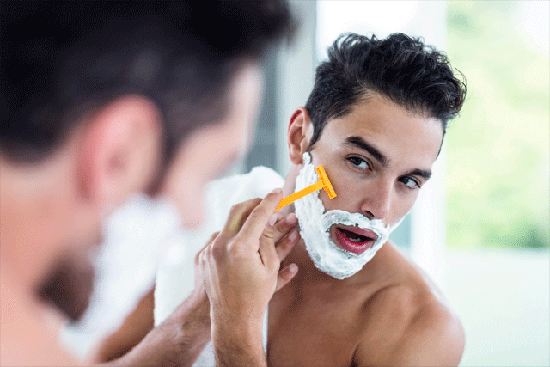 Experts believe that the biggest reason men cut themselves whilst shaving is because their skin just isn’t in suitable condition. 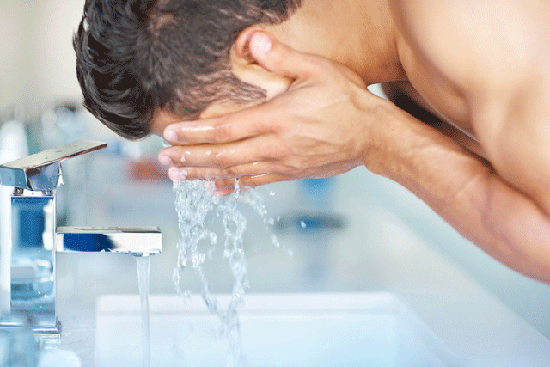 One of the best ways to overcome this issue is to purchase a face scrub – one that is preferably designed for men. This will immediately remove any build-up that has occurred, whilst improving the definition of your follicles in the process. 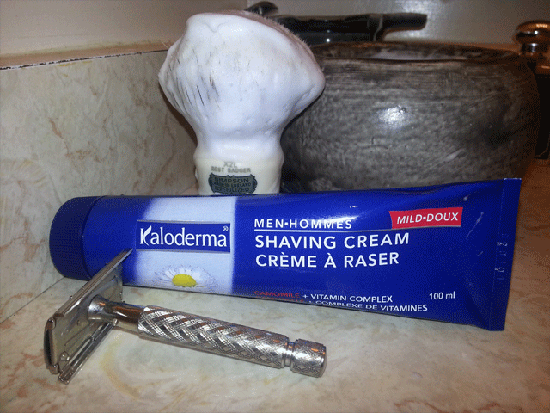 When you then turn to your razor, you will find that the shave is much closer than ever before. As we all know, a close shave will reduce the risk of cuts occurring significantly. We’ve just spoken about a skincare product, so it stands to reason that we continue the trend with this next suggestion. This one might be tricky for some men to carry out, for the simple reason that choosing an aftershave is something of a fine art. In other words, many of us will head straight for the one with the most appealing scent (or the one that suits our own skin the most). Instead of sticking with this “traditional” approach, try and find one that doesn’t contain alcohol. As you will already know, your skin will be more sensitive than ever before as soon as you have shaved. This is one of the reasons why cuts are so common – it’s this extra sensitivity which means the slightest slip can cause blood to rush out more freely than it usually would. Therefore, exercise caution with your choice of product. 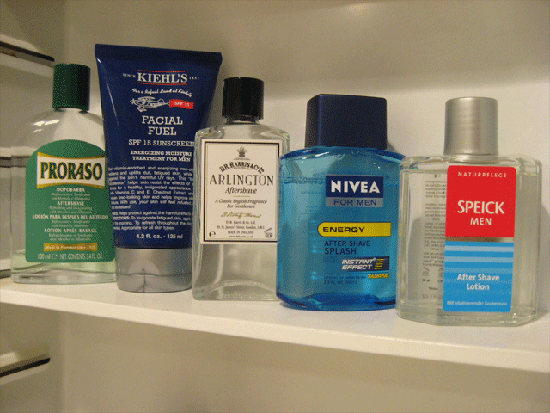 There are various aftershaves which aren’t only alcohol free, but they also have healing properties which can make the risk of cuts (after you have completed the initial shave) much less likely. If you’re not convinced, just think of the stinging that usually occurs when you apply aftershave. This is largely due to the alcohol content, so eliminating this substance has other benefits as well. Well, we’ve only spoken about products so far through this guide, so let’s continue the trend. Following on from the above, this probably won’t come as a surprise; your choice of shaving cream really is crucial and can make the world of difference when it comes to cuts. Fortunately, the reason for this is very easy to understand. If you choose a good quality product, which is designed for men’s skin, you’ll find that it improves lubrication substantially. This layer of lubrication can act as a major defense barrier and be the difference between cutting yourself and staying dry when it comes to the crunch. In terms of specific types of products you should be looking to use, anything containing glycerin and aloe are perfectly suitable. On the other side of the coin, try and avoid any alcohol-based ones like the plague. It’s products like these which not only increase the chance of cuts, but ingrown hairs as well. A lot of our guidance so far has focused on the type of products that you are applying to your skin. Something else which can help reduce the chances of cutting yourself is changing your razor though. Nowadays, we are absolutely inundated with different types of razors. The manufacturers love to demonstrate “cutting edge” technology but unfortunately, on a lot of occasions at least, this can have the literal effect. 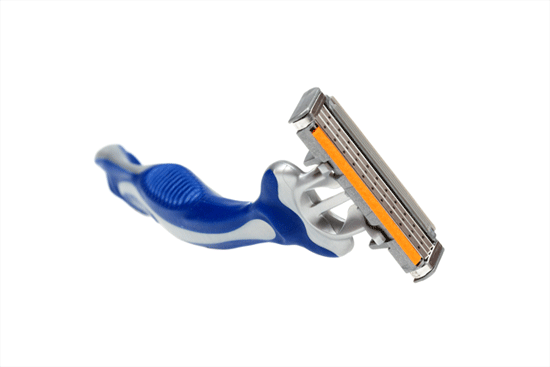 In truth, basic razors can help anyone who suffers a lot of cuts during the process. When we talk about these basic products, we’re referring to ones with just two or three blades – meaning that the chances of cuts immediately decrease (even if it might take a little longer). So in summary, the 5-blade approach might tick all of the marketing boxes, but it stands to reason that you are immediately increasing the likelihood of one of these blades nicking your skin and prompting that gush of blood that we all dread. 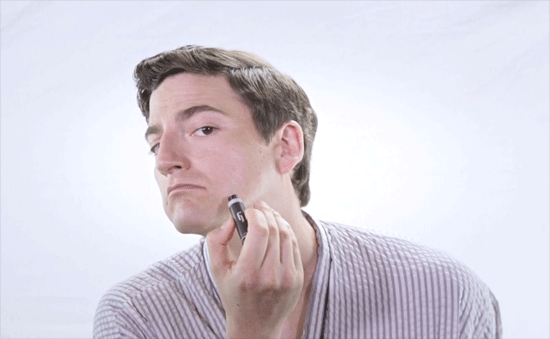 So far, we’ve spoken about all of the steps you should take in a bid to avoid shaving cuts. Unfortunately, from time to time the inevitable will happen and this is usually the occasion where most guys reach for the toilet paper. Needless to say, this then causes many of us to walk around work with small pieces of this paper sticking to the cut and in basic terms, looking pretty unattractive. As such, we have a solution. If the worst does happen and your skin does incur a cut, it’s time to turn to a more inventive solution. This comes in the form of lip balm. As the name suggests, this might be primarily designed for your lips, but its properties mean that it is completely safe to use in other instances. One of these is shaving cuts; with the lip balm conditioning the skin and therefore slowing down any bleeding.